On Saturday, December 2, 2017 at Raleigh, North Carolina’s PNC Arena, cheers and excitement from spectators at a college basketball game abruptly turned into cries and panic. Tyvoris Solomon, a starting point guard for South Carolina State, collapsed to the ground on the sidelines only seven minutes into the game. Reports say Solomon appeared to be lying on the ground unresponsive. Everyone was in complete shock. Fortunately, he was revived and conscious during his trip to the hospital. He exited the arena on a stretcher, as spectators, teammates and opponents cheered him on. He was taken to the intensive care unit at North Carolina Heart & Vascular Hospital. Solomon underwent a battery of tests at the hospital, but it is still unclear why this happened to this young, athletic man who reportedly had no prior heart conditions. Five days after he collapsed, Solomon was released from the hospital. And even though he was released, whether he can continue his basketball career remains to be seen. His family has not disclosed any further details of his condition. But rest assured, they are incredibly thankful he did not die and that they can look forward to enjoying the upcoming holidays with him. Cardiac arrest has been reported to be the leading cause of death in young athletes. “Perhaps 1 in every 50,000 sudden cardiac deaths a year occurs in young athletes,” according to the Mayo Clinic. There have been other cases of young (some as young as 12-years-old) athletes having cardiac arrest, and, unfortunately, some of them were not as lucky as Solomon and died. In 1990, star college basketball player Hank Gathers, who played for Loyola Marymount, collapsed and died on the court. Boston Celtics star Reggie Lewis died three years later, also while being on the court. Both young athletes’ cause of death was hypertrophic cardiomyopathy, a genetic condition that is reportedly one of the most common causes of sudden cardiac arrest in young athletes. And according to the National Institutes for Health (NIH), African-American basketball players, in particular, appear to be especially at risk. So what exactly is a cardiac arrest? According to the American Heart Association (AHA), cardiac arrest is “triggered by an electrical malfunction in the heart that causes an irregular heartbeat (arrhythmia).” This disrupts the pumping action of the heart and interferes with its ability to pump blood to critical organs, like the brain and lungs. If the victim of a cardiac arrest does not receive treatment, death occurs within minutes. Many people confuse heart attacks with cardiac arrests but the two, while related, are different. A heart attack is a “circulation problem” and occurs when blood flow to the heart is blocked. “If the blocked artery is not reopened quickly, the part of the heart normally nourished by that artery begins to die,” reports the AHA. So heart attacks may increase your risk for a cardiac arrest. In fact, many known heart conditions may increase your risk for a cardiac arrest. Scarring from a prior heart attack or other causes. A heart that is scarred or enlarged may be more prone to arrhythmias. The first six months after having a heart attack, in particular, may be considered a high-risk period for having a cardiac arrest. A thickened heart muscle (cardiomyopathy). This may be caused by having high blood pressure or valvular heart disease. Certain medications. Significant changes in blood levels of potassium and magnesium (from using diuretics, for example) may cause life-threatening arrhythmias and cardiac arrest. Even taking common painkillers, like ibuprofen, may increase your risk for cardiac arrest. Recreational drug use. Cocaine and other illegal drugs have been reported to increase the risk for sudden cardiac arrests. Some suggestions on how to prevent cardiac arrest? 1.) Increase your awareness of how to maintain a healthy heart. Heart disease is one of the major risk factors for cardiac arrest. So increasing our awareness about how to maintain a healthy heart will play a huge role in avoiding cardiac arrest. The usual suggestions for good heart health are maintaining a healthy weight, getting appropriate physical activity and eating a diet rich in antioxidants and anti-inflammatory foods, like broccoli, strawberries and other fruits and vegetables. However, we need to go even further and determine whether our bodies are reaping all the benefits from these good practices. For example, being physically active and eating ‘well’ does not ensure that you are properly absorbing the right balance of nutrients your body needs to keep you healthy. And when you do not absorb the right balance of nutrients, you increase your risk of having health problems, like hypertension, fatigue, depression, sleeplessness and heart disease. It is also important to be aware of the important role certain minerals, like magnesium and potassium, play in keeping your heart healthy. You can test to see if you are nutritionally balanced, by requesting a comprehensive nutrition test. 2.) Utilize preventive screening where appropriate. There are varying reports about whether athletes should undergo testing that may detect the likelihood for cardiac arrests. 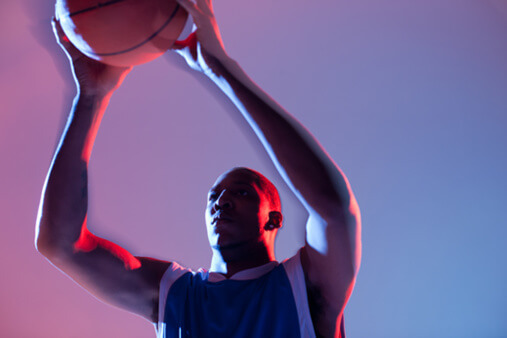 This 2013 report from the University of Arizona encourages young athletes to undergo testing for hypertrophic cardiomyopathy. On the other hand, another report suggests that these tests do more harm than good due to false positives, overtreatment and psychological trauma. If you are the parent of a younger athlete, you should make an informed decision about what you want to do regarding the safety of your child. 3.) Ensure wherever your child plays sports is properly equipped for medical emergencies. One thing is certain. What ultimately saved Solomon was the quick medical attention he received and the equipment (the defibrillator) that was on site. If your child plays sports, talk to his or her school about having defibrillators and people who know how to properly do CPR onsite at sporting events. It is also important for athletes to avoid heat stroke, which may contribute to the incidence of cardiac arrest. Athletes should stay hydrated and make sure minerals like sodium, magnesium and potassium are all in balance.